Oak Noah's Ark reflecting West Country architecture. Farmer and Mrs Noah look after Farm and English wildlife. All figures are hand carved in lime and stained with child friendly pigments. Prices start from £600 (depending on the style and number of figures). A love of wood carving and a passion for all forms of wildlife has led me to create hand carved wooden Noah's Arks. 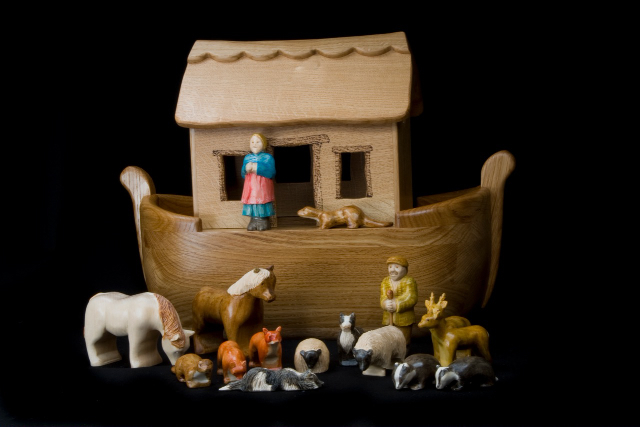 The design of each Ark and the animals taken on board is individual to the purchaser.